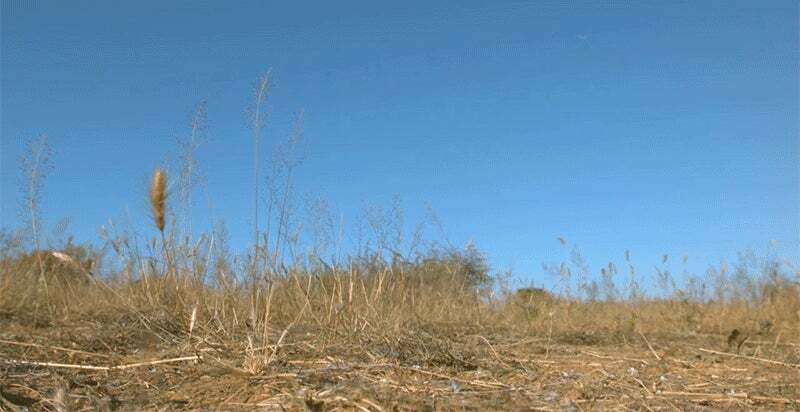 Video: Approximately half of the internet is made up of cat videos, but the BBC managed to capture one that's truly remarkable: high-speed footage of a wild caracal as it deftly manages to spin itself around midair in order to land safely on its feet. Even if you've seen every last cat video on the web, you've never seen anything like this. The footage was captured for a new BBC series, Life in the Air. 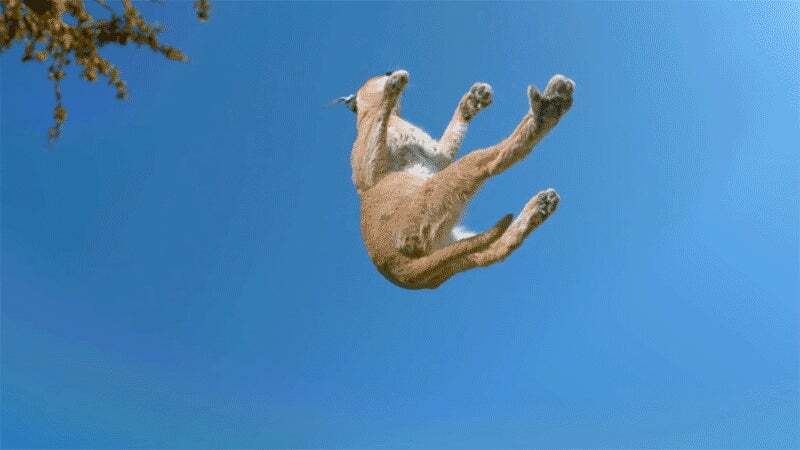 The clip reveals how a cat's unique flexible spine, which can rotate in two different directions at the same time, allows it to flip around mid-flight to ensure its legs are always pointing down for a safe landing. Cats also use a technique that figure skaters rely on to increase the speed of their mid-air spins. They pull their front legs in as they're twisting, increasing the speed of the spin, which eventually causes their whole spine to align when their hind legs are pointing in the right direction. It's Mother Nature's engineering at its finest, and even if you're not a feline fan, the footage is still jaw dropping.